Providing a full range of fire detection services to homes & businesses in the area and beyond. Hosie Electrical are specialists in the design, supply, installation, commissioning, service and maintenance of fire alarm systems. We are dedicated to the very highest of standards when dealing with these critical installations so call us today and discuss your requirements with qualified experts. 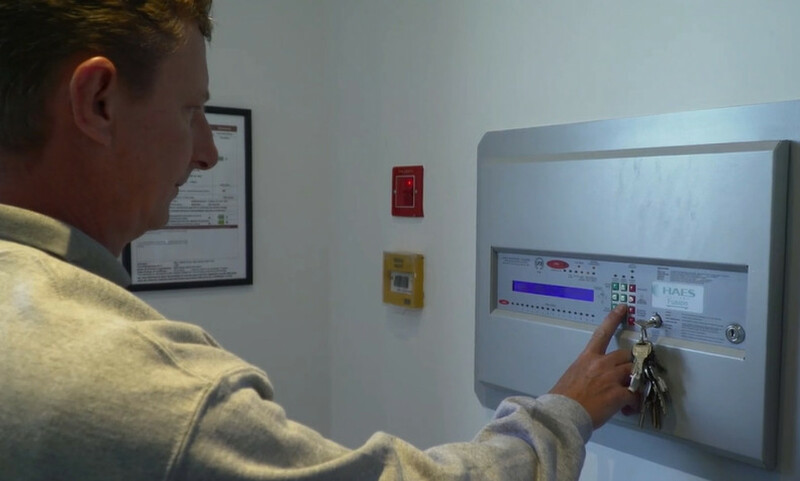 Hosie Electrical design and install fire detection and alarm systems in dwellings and commercial and industrial properties to BS 5839-1:2013; the key standard for fire detection and used by fire authorities and building control officers.